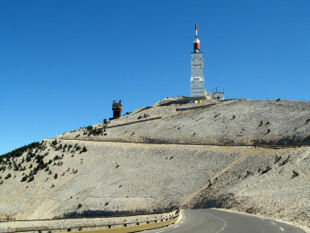 ﻿ Booking Terms & Conditions - Provence Cycling Holidays, self guided bike tours in the Luberon, Provence, France. Before you book your self guided bike holiday we ask you to read and sign the following Terms & Conditions, as these form the basis of your contract with Provence Cycling Holidays (PCH), laying out both parties' responsibilities. Bookings must only be made by persons that are physically fit, are used to riding, and handling, a bike, and are capable of participating in a self-guided cycling holiday. If you have any health doubts it is your responsibility to make the necessary medical checks with your doctor prior to booking. In order to maintain safety you will act in a safe and prudent manner at all times both on and off your bike. In order to avoid accidents you will give the road and traffic conditions your full attention, only soliciting your GPS system when it is safe to do so. Map directions may contain errors - if in doubt you must stop in a safe place to solicit your GPS. Taking part in our self-guided cycling holiday is done entirely at your own risk. Provence Cycling Holidays (PCH) cannot be held responsible for any injuries, loss or damages that occur during your holiday. PCH will supply bike helmets which should be used at all times whilst on the bike. We keep the use of the busier roads to a minimum, however, some use of them may be needed. During such times your full care & attention is required for your own safety. All persons should behave in a suitable and reasonable manner in relation to the property, equipment and all other persons. If in our reasonable opinion a person behaves in such a way as to cause unreasonable damage to the property or equipment or to cause distress or danger to another person, we reserve the right to bring their stay to an end and ask them to leave the accommodation. No reimbursement will be made for any expenses incurred: travel, accommodation, meals, replacement holiday etc. No refunds will be made for curtailment. The villa has a swimming pool, it is a legal requirement that you cover it using the easy to use electrical cover when not in use. A demonstration will be given on arrival. Any issues or faults with the swimming and / or cover must be reported immediately. The villa door, the garage door and gate to the villa must be locked, windows and shutters closed and all objects of value stored away indoors when absent from the property. Bikes and equipment should be stored in the garage at all times when not being used. GPS units should be stored in the house when not being used. Pricing relates to the price for 1 person based, on the number of guests renting the property. The price per person reduces as the number of guests increase. With a minimum of 2 guests and a maximum of 6. Any additional guests (up to a maximum of 6 guests in total) to the initial booking number must be declared and paid for before arrival. Provisional bookings will be held for 7 days - if a booking confirmation is not received within 7 days we may assume that you are no longer interested in the holiday, and thus release those dates for sale. Once we have received your booking confirmation, we will email you a Pre reservation form, deposit payment information and a link to our terms & conditions. These must be read by each adult and signed on their behalf by the booking main contact. A deposit of €350 per person is required to book your tour. Payment is via PayPal (we offer to cover 2% of the 4% payment fee – this is added to your bill), TransferWise (reduced transfer and exchange rate fees) or bank transfer (fees tend to vary from no charge to €30 – dependent on your bank) or a French euro cheque (free of charge). Sending your deposit means that you accept our terms and conditions. On reception of your deposit we will send you your Deposit Receipt & Reservation Confirmation Form. This includes the details of your booking along with your deposit payment details. We will also ask you for your written (typed) acceptance of our terms and conditions (to be emailed back to us). With the signing (by the main contact) of the terms & conditions (by hand of by typing) it is understood that all members of the party accept the terms of conditions. Three months prior to your tour start date we will send you a reminder regarding the balance payment for your tour. We will also send a list of information that we need in order for your stay to run smoothly: bike measurements, mobile phone numbers, train/plane arrival times etc. If 3 weeks after the balance payment date has passed and no payment has been received we may assume you are cancelling your holiday. Our cancellation policy and conditions may then apply - see paragraph 3. For holidays starting less than 3 months before the planned start date, we ask that you make the total payment at the time of booking. You have 7 days (from us sending the booking form) for us to receive your booking confirmation and payment. If we do not receive it within these 7 days we will consider you are no longer interested in the holiday and those dates may be released for sale. One refundable damage deposit of €1,500 is required for the global booking, due 1 month prior to your start date. Payment by PayPal only. Refund by PayPal only. Any damage / loss or theft to the property, garden pool or any equipment will be quoted for by suppliers / tradesmen with this amount then being deducted from the damage deposit and a new euro refund amount via PayPal will take place. If the above cost is greater than the €1,500 damage deposit, then guests will be liable for the additional costs. A quote will be supplied. Damage deposit refunds will take place within a reasonable time after departure. There is a 1 euro PayPal payment fee which cannot be refunded due to technical reasons. In the unlikely event that we have to cancel your holiday we will of course provide you with a full refund of all monies paid to us. If we cancel less than 3 months before your holiday start date - we will give you a 5% holiday reduction. If we cancel less than 2 months before your holiday start date - we will give you a 10% holiday reduction. If we cancel less than 1 month before your holiday start date - we will give you a 15 % holiday reduction. These future reductions are valid for the persons on the original cancelled booking only, for 2 years from the date of cancellation. We strongly recommend that you buy appropriate travel insurance, should you need to cancel your tour. More than 6 months before your holiday start date – deposit refunded. Less than 6 months but more than 3 months before your start date – loss of deposit. Less than 3 months but more than 2 months before your start date – loss of 50% of the total booking. Less than 2 months before your holiday start date – loss of 100% of the total booking. Bookings have a minimum of 2 guests, if the guest numbers fall below the minimum due to a cancellation the booking will be kept at the original booking price, or, alternatively, could be cancelled with the above conditions applying. As the price per person varies according to the total number of guests, if there is a cancellation the remaining guests’ price will change accordingly. Any variations are to be settled before arrival. A single refund for the entire amount will be made to the person who made the booking. Payment (less payment fees) will be made by PayPal, TransferWise or bank transfer in euros. We cannot be held responsible for bad weather and other factors out of our control. If we were to have bad weather and you decide no cycling is possible we will suggest alternative activities. We will of course do our best to accommodate your change request, however, this may not always be possible. Where changes are possible we will levy no extra fee. If the change is not possible and you need to cancel your holiday, then the normal cancellations conditions will apply. Unfortunately errors may occur and changes may be needed once bookings have been made. We make every effort to keep these changes to a minimum but in such an event we reserve the right to make changes and cancel a booking(s) if necessary. Normal cancellation conditions will apply. Accommodation is at our new build villa in Taillades. It is based on a self-catering formula. Rooms are all double with either a double queen sized bed or two single beds - there are no single rooms. One bedroom has an ensuite bathroom & the two remaining rooms share one other bathroom. 1 set of bed linen per room & 2 sets of towels per person, per stay, are provided. Prices are per person. There is a minimum booking number of two guests. Arrivals are from 12 noon, departures are between 8.45 and 10am. You will be provided on arrival with a full verified inventory for the house. Any discrepancies need to be reported within 24 hours. Damage / loss & breakages will be deducted from the damage deposit. Where necessary a quote will be obtained. For the duration of your self guided bike holiday we will provide you with a quality hybrid bike, or a road or an electric bike (extra charge of 28€ per night, including insurance), essential bike equipment (helmet, repair kit, pump, bottle etc.) and a GPS system, all in good working order. All reasonable care must be taken to avoid damage or loss to said equipment. Any loss, damage or theft of equipment must be paid for at the end of the holiday based on a quote received from our supplier. Our bikes are fully maintained and checked before your arrival. You must check that your bike is in full working order before every use. Any faults must be reported to us immediately and before any further use. If you bring your own bike we cannot be responsible for mechanical problems - you should therefore ensure that your bike is in full working order. Although we will of course provide breakdown back up and transport should you need it. If a replacement hire bike is required we will supply one from our stock or from our local suppliers, at cost. We will also loan you a copy of our tourism guide and our ride directory to help you select your rides - these are our intellectual property & must not be taken off the premises, copied or part copied in any way; electronically copied, photocopied, photographed, scanned or disclosed to a third party. No third party route recording sites such as Strava, Map My Ride etc. will be used to record our rides, as the ride design is our intellectual property. 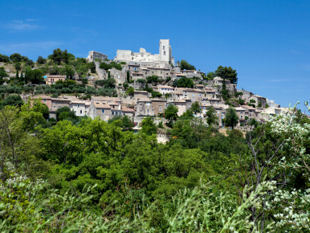 The weather in Provence can be hot - it is therefore essential that you take the necessary measures to stay hydrated. For your use we supply a bike water bottle, there are numerous shops, cafes & fountains where these can be topped up. We recommend that you bring a camelback style water bladder in order to have enough water readily available. Our GPS guided holidays include bike breakdown & back up for you whilst out on your bikes should you need it. minor illnesses & accidents - that mean you can not or do not feel comfortable continuing your ride. Of course for serious accidents you would call the international emergency services number (112). In order to get support from us or from the emergency services as quickly as possible you will need a suitable mobile phone and call plan. Please make sure you have adequate insurance to cover you for any damage caused to the property and / or equipment (including theft) and / or to any third party, and / or should you need to cancel your tour before the start date and / or for any illness or injury during your cycling tour. PCH is not liable to refund any monies due to the curtailment of a guest's holiday. Guests are responsible for any loss, damage or theft of their bicycles, equipment or GPS systems (up to their full replacement cost depending on the problem). Note that we supply bike locks to secure your bikes. Our GPS systems are solidly fixed to the bars, but can be easily released for touring on foot. Our price does not include all other holiday expenses such as: transportation to us, hire cars, lunches, breakfasts, dinners, travel & medical insurance, entrance fees to sights etc. We will always do our maximum do ensure you enjoy your holiday. If however there is a problem with your stay we ask that you inform us as soon as possible during your stay, so that we have a chance to put it right. We make every effort to ensure that all the information on our web site is accurate. Some errors may, however, exist. Or by the time that you book, certain elements may have changed. We therefore ask that you check all details at the time of booking to ensure that you get the holiday that you are expecting. All information received from you will be treated in a confidential manner and not released to any third parties. Your contact information may periodically be used by us for the marketing of future holidays. If you wish to be taken off our listings please let us know. We occasionally take photos of our guests to be used on our promotional material - if you do not want to feature in these please let us know.